Recently, a startup in Vietnam, LINA Network, a startup in Blockchain technology, Bigdata and AI, has started accessing Southeast Asian markets, namely Laos, Indonesia and Thailand. cooperated with 8 major Japanese corporations on the application of blockchain technology in the field of Fintech. The application of blockchain in Fintech is quite diverse, affecting most of the field of finance – banking, such as deposits, payments and transfers, insurance, consumer credit and small business, risk management, security, trade finance, factoring, foreign exchange trading, securities trading; Other support services such as customer identification, money laundering, anti-terrorism financing. The two most notable names among Japanese enterprises that have joined LINA include Hinomaru Co., Ltd. – Japan’s leading courier and radio industry Fuji specializes in new materials. In addition, the startup of Vietnam has also signed strategic cooperation with two major Indonesian corporations, eight Thai businesses with the participation of former Thai Prime Minister Abhisit and universities and businesses from India. Degrees. In particular, there are three major groups in the agricultural sector of Thailand. Indonesia is also a big market as it aims to reach the top 10 of the world’s largest economies by 2030, with an annual GDP growth rate of 6-7%. In January of this year, the country hit a milestone in GDP of $ trillion. In June, LINA also signed a memorandum of cooperation with the Lao Ministry of Science and Technology, applying Blockchain technology in the government electronic identification. 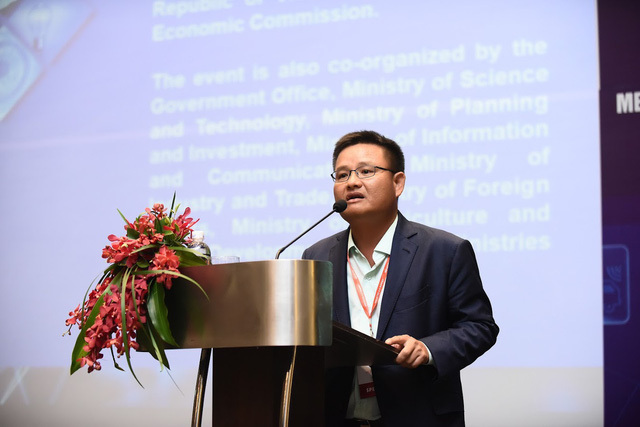 Accordingly, this startup will provide solutions for Blockchain application development to the Government and Lao Ministry of Science and Technology. The solution is based on Blockchain technology, Internet of Things (IE), Big Data and AI, especially electronic identification to “E-government”.